I’m a little late to the party, but one of my blogging goals this year is to actually write book reviews (and not just star ratings!) and regularly participate in the Quick Lit posts with Anne at Modern Mrs. Darcy. This monthly link-up is hosted on the 15th of each month, which I obviously missed for January. I thought about waiting until February 15th for my first post, but I read (or listened to) so many books in January that I was afraid the post would be completely overwhelming by that point. Instead, I’m posting my January quick reads today, and I’ll join in in February with the books I read in the first half of this month. To be clear, 20 books in a month is not a normal amount of books for me (I may or may not hit 20 by tomorrow depending on whether I finish The 100-Year-Old Man Who Climbed out the Window and Disappeared). In fact, I’m not sure I’ve ever read even close to 20 books in a single month, at least not since I was a kid. This month was an anomaly—ironically enough, on the heels of my decision to lower my goal for 2015 to just 75 books rather than 100. Between Audible and my 3-day retreat, I’ve knocked out enough books that I should still easily hit my goal for the year, even if life gets too busy to make time to read (although my goal is to not let that happen this year!). I also made really good progress on both my Nonfiction and Classics goals for the year, both of which I really enjoy as audiobooks (but more on that in another post). Even though I identify more as a moderate than a conservative, I’ve always loved George W. Bush. I’m sure some of that has to do with the fact that I was 19 years old on September 11th and I stayed glued to the the TV for weeks afterward, thankful for his leadership and reassurances. Outside of his politics, though, I loved this book because it is clearly a biography written by a loving son. I appreciated the overview of George H.W. 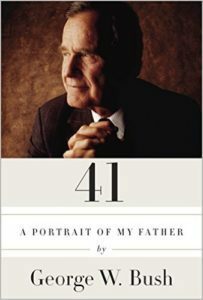 Bush’s life and presidency (which in turn offered an overview of American and world politics over the last almost-century). 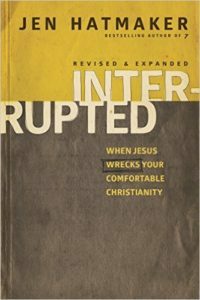 This book doesn’t pretend to be a balanced commentary, but I wasn’t necessarily looking for one anyway. During World War II, Edith Hahn used a false identity to blend into German society despite her Jewish heritage, even marrying a Nazi officer at the height of the war. 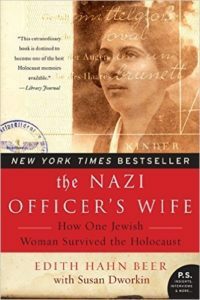 This is a compelling story about the horrors she and her family experienced during World War II, and while some of the writing is redundant and unrefined, that really doesn’t matter in light of the story itself. 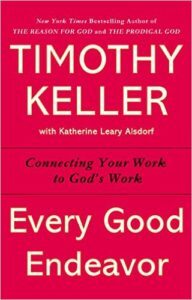 Anne recommended this as the #1 book I should read during my retreat, and I’m glad she did. 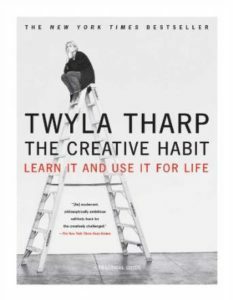 With stories and examples, Twyla Tharp makes the case for making creativity a habit rather than a whim. Although I felt at times like she was overestimating the worth of some of her personal exercises for other creatives, I found it to be a refreshing and inspiring look at creativity as a whole. Most of the information in this book wasn’t new for me, as someone who studies productivity and is naturally organized. However, by bringing together dozens of bloggers and experts (many of whom you may recognize, including Seth Godin, Gretchen Rubin and Leo Babauta), Jocelyn Glei has created a handbook of sorts with actionable steps and reminders for all of the things I already knew. 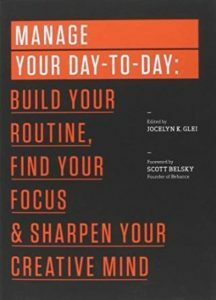 Reading this while planning out my daily schedule and 2015 calendar definitely impacted the way I structured my days to prioritize routine, focus, rest and creativity. Exquisite is the word I use to describe this book. 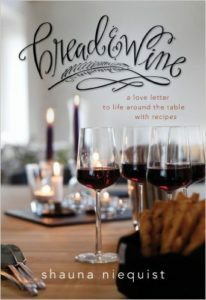 A collection of essays on food, community and life, it’s a beautiful picture of what authentic relationships look like and how food can play a healthy role in community. 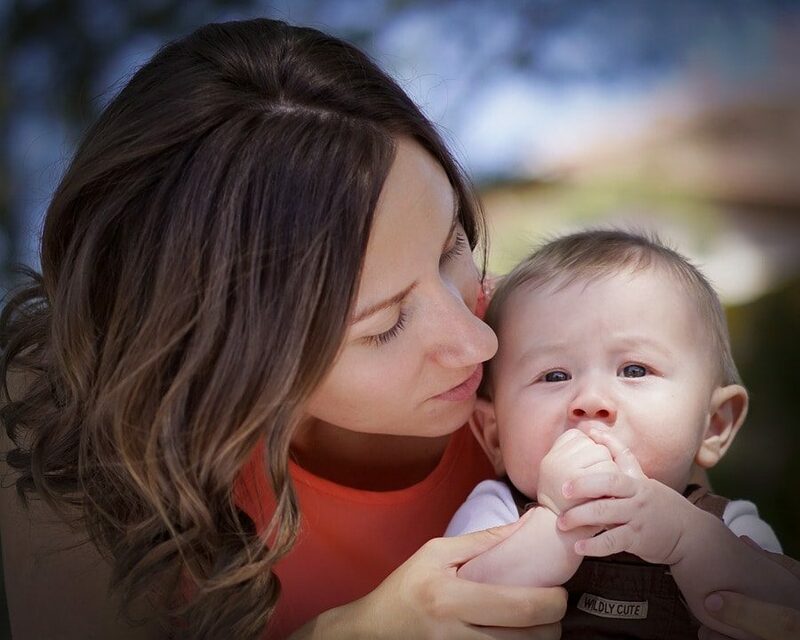 I was inspired by Shauna Niequist’s words to look at the way I approach friendship and community a little differently, and I want to try every recipe she included in between her thoughts! I read multiple productivity/creativity books this month, and it’s true that most of them repeat similar information just in different ways—which ended up being a good thing for me because I need reminders of things like Warren Buffet’s explanation of the difference between successful and very successful people (hint: they say no to almost everything). However, I found this one to be the most emotionally engaging and practical of the books I read, and it’s one I will refer back to. I wanted to love this book, and did I enjoy the first few chapters. The rest, whoever, seemed to me to be a tedious, long-winded version of “work as unto God,” with standard examples of how typical careers can do that but with little for entrepreneurs or out-of-the-box careers. This is not a fun topic, but 2015 is my year to finally start acting like a grown up, and that means things like estate planning, wills, trusts and organizing all of the information someone (whether it’s Sean, or our parents) might need if one or both of us were to die. Yeah…kind of depressing to think about. 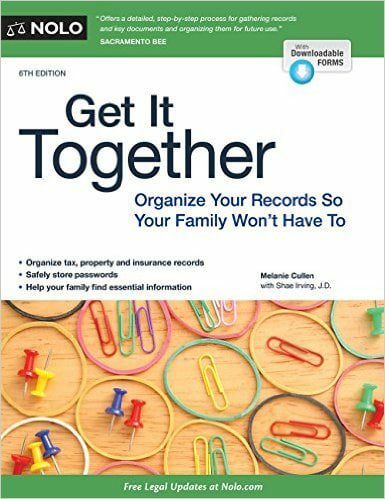 Get It Together is not a guide or template for creating a will or health care directive or other legal document. 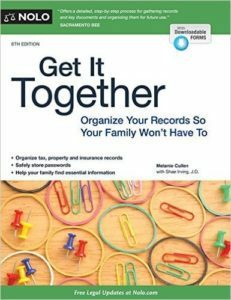 Instead, it’s an extremely practical and thorough workbook to walk you through putting together a binder containing all of the information someone might need if you die or are incapacitated. I’m confident that if I can just work on the companion planner a little bit each day, I can eliminate much of the stress and frustration that comes with trying to sort out someone’s affairs after they die, whether that’s sooner than I’d like or not for another 50 years! Sigh. This is hard for me to right because I love Jen Hatmaker’s heart and words so much, but I was really, really disappointed in this book. 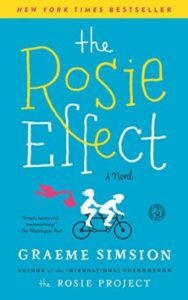 It’s an important message for sure, but while her humor and sarcasm worked in 7 (a book I loved), it makes this book feel trite and irreverent. It also felt like the revisions and additions were rushed to print, giving the book a disjointed and frenetic feel. I just wanted more from this book. Maybe the fault lies with me for setting my expectations so high. 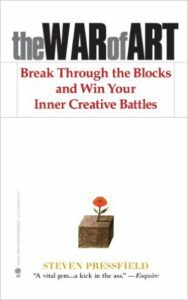 While there’s no denying that Steven Pressfield is a creative genius, I found this book to be a bizarre combination of really sage, applicable advice and off-the-wall commentary on human existence. I know. 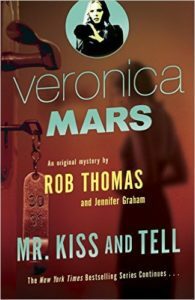 Veronica Mars will never be considered high literature…and yet, I love these books. Sean and I watched the TV show faithfully, and I loved the recent movie. 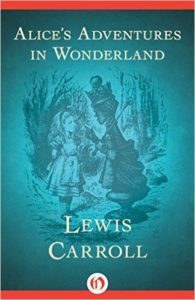 My only disappointment was that I couldn’t “hear” the characters as well in this book as I did with the first one, but I have a feeling that has more to do with how recently I had watched the movie last time around and less about the writing itself. In general, I like books with hope and joy infused throughout them, even when exploring hard topics like the Holocaust or dystopian society. This book was not like that, feeling more like it was written in a grey, hopeless world, and it was a bit depressing to read. That said, it really is a beautiful story, and I would recommend it overall. 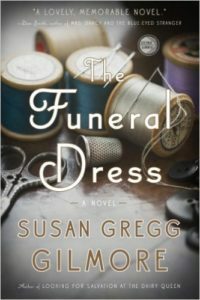 This story is part historical novel, part mystery,with interwoven narratives from the past and present, and I read it all in one day in a race to connect the storylines and solve the mystery. 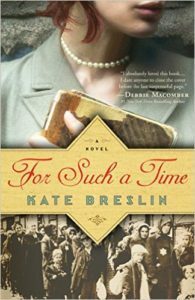 It tells the story of a secular Jewish family and their live-in nanny who are living a prosperous life in Czechoslovakia as Nazi forces take over the Sudetenland. 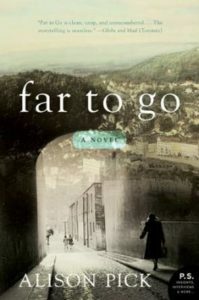 It’s hard to know how to describe this book without giving away the plot, so I will leave it at that, but one thing I really appreciated about this one was the look at the Kindertransport program, which sent nearly 1o,000 children out of Nazi-occupied areas on packed trains to live with families in Great Britain, something I hadn’t read much about before. The good: The story itself is hauntingly beautiful, and I was drawn in from the very first page. The bad: It felt like this beautiful book was written and then someone went through and added Christian platitudes to turn a historical novel into an inspirational novel. If I hadn’t been so taken in by the storyline right away, I honestly would have put it down when those started appearing because they felt so contrived and out of place. This book was okay. 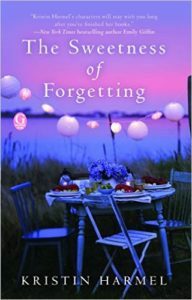 It kept me reading because I wanted to solve the mystery of the main character’s grandmother’s childhood, but it missed the mark in many ways, trying to weave together too many plot lines and falling flat emotionally on almost all of them. I’ll never forget my grandfather asking my brother and I why we were rooting for the bad guys in the original Fast & Furious, and I kind of feel that way about this book. 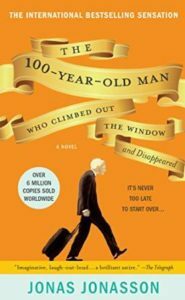 I’m constantly making excuses for the main character (the 100-year-old man who climbed out the window and disappeared, of course) because he’s just so dang lovable! I may or may not actually finish this in January, but I’m so glad that I chose this as my “book that was originally written in a different language” for the Modern Mrs. Darcy reading challenge, and I’m looking forward to reading The Girl Who Saved the King of Sweden as well. I had forgotten how much I love this book, with all of its nonsense and hysterical puns. I’ve loved it since we put the play on in junior high—Carroll’s Jabberwocky is also one of my favorites—and I enjoyed every bit of it this time around! 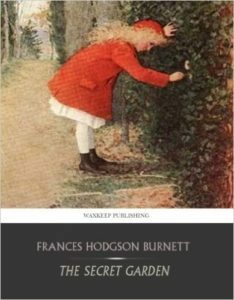 Like Alice’s Adventures in Wonderland, I had forgotten how much I love this story about the little girl nicknamed “Mary, Mary, quite contrary” and her discovery of love, companionship and beauty through the secret garden on her grieving uncle’s estate and her relationships with the people around her. 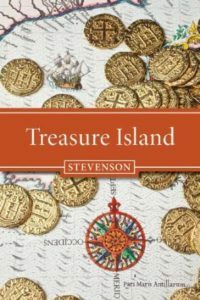 “Yo-ho-ho and a bottle of rum!” Treasure Island definitely doesn’t fit within any of my “typical” reading genres, but it’s a fun adventure nonetheless, and it’s clear why Robert Louis Stevenson is one of the most widely read authors in the world. I enjoyed most of these books though none of them stands out as a favorite. Oh, I really liked Eleanor & Park! Have you read other Rainbow Rowell books? I may need to add A Wrinkle in Time to my classics list! I did enjoy Eleanor & Park, but it was hard to read about Eleanor’s life. I have not read any others but I should! 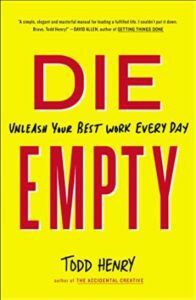 I REALLY want to read Die Empty. I have heard so many good things about it. It is waiting for me in my Amazon Shopping Cart, might just have to click the buy button on it later today. I think reviewing books would be a lot of fun, best of luck with your goals for 2015. I definitely think it’s one I’ll be going back to again and again. I’d love to hear what you think once you get it! I’m in the middle of listening to Flight Behavior by Barbara Kingsolver. A friend recommended this as her favorite book she read in 2014, and so far I’m really enjoying it, especially the characters. A review I read said that the environmental message is heavy-handed and preachy but I have not yet encountered that. 20 books–WOW! I really need to figure out how to get into audio books! What a great list!